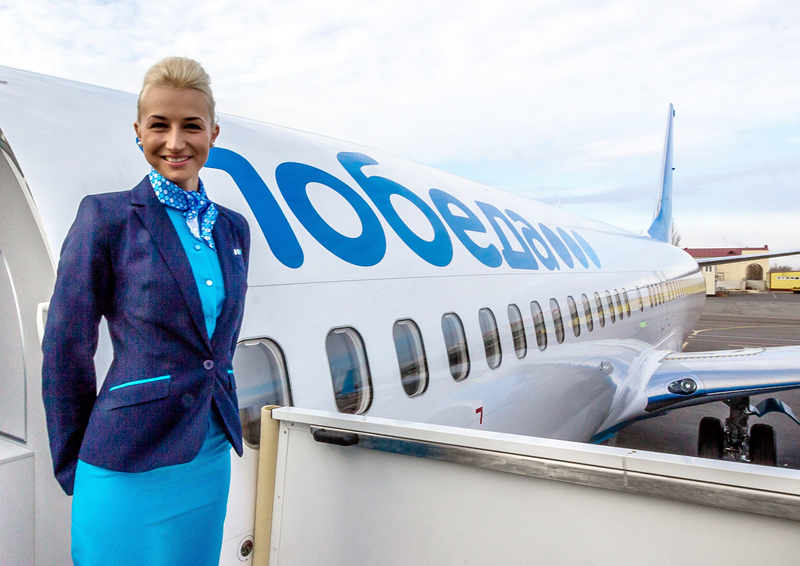 A stewardess of a Pobeda (Victory) airline's plane at the Volgograd airport. Pobeda will launch flights from Astrakhan and Yekaterinburg to Goa. Aeroflot’s low-cost carrier Pobeda will connect the cities of Astrakhan and Yekaterinburg with Goa, an aviation portal reported on Jan. 23. Russia's Federal Air Transport Agency (Rosaviatsia) has given permission for the carrier to have weekly flights from the Russian cities to the Indian resort state, according to CH Aviation. Several Russian airlines operate charter flights from several cities to Goa, which is the most popular tourist destination for people from across the former Soviet Union. The tourist season in Goa begins in October and lasts until April. The northern part of the state hosts a significant Russian community who stay on 6-month tourist visas.